ORIGINAL Resolution 2-2018 Examination of Local Option Line 1a and Line 1b (link to Original PDF). The resulting Resolution 2-2018 below is hereby offered in place of the original 2-2018 distributed at PreCouncil. For additional information visit the Resolutions page. Registration is open for all Council attendee categories, and information pages can be found under the “Signup” section. Church Registration for Clergy, Delegates, Alternates ($165 fee) and Clergy Spouses ($120). Find the registration links on the Registration page along with help files and payment information. Use the Navigation bar on the left side of Council website (www.Council-dwtx.org) for the many events and activities during our time gathered as a diocesan family. Coming Soon – full details and links to the Youth and Sponsor registration forms on the Youth page. For the ninth year Youth in Action returns with a call to serve at their event beginning Friday Feb 23 and concluding with Worship at St. Mark’s, San Marcos Sunday morning February 25, 2018. You can expect a few of these 254 rooms at the Embassy Suites to become available again as churches decrease their own reservation blocks in late January. We will try to send out any updates on openings. If you would like to be placed on a wait list for Embassy Suite rooms, please contact leigh.saunders@dwtx.org or nancy.stinson@dwtx.org. Additional hotels or lower rates may be available with your own online search, but remember those rooms are usually non-refundable. Online registration for exhibits opens next Monday, November 20, 2017 at 8:00 am. A letter of invitation was e-mailed to past exhibitors today with a copy available on the Exhibits page. The exhibit area will contain 64 booths, 36 of which are premium booths at $280 each lining the corridors leading to the business session. The remaining 28 standard booths will be available at $200 for commercial vendors and $140 for non-profit charitable endeavors. All standard booths will be in the Spring Lake Ballroom. Booths will be assigned on a first-come, first-served basis. Register early to get your preferred location. The last of three discernment forums held across the diocese, this two-hour video presents the seven potential nominees for Bishop Suffragan of the Episcopal Diocese of West Texas. Each potential nominee has a 3-minute opening statement and a 3-minute summation. In addition, each is asked three randomly selected questions with a 3-minute response. The election for Bishop Suffragan will be held on February 25, 2017 at Diocesan Council in Corpus Christi, Texas. 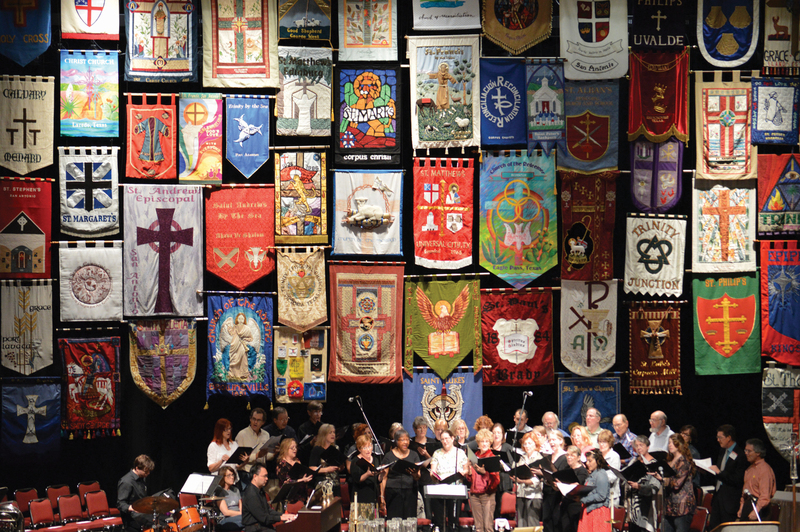 Did you see the banner “wall” created by the Host Committee and displayed in Selena Auditorium during Eucharist at Council 2013? Well, here it is! And this year, Council 2017 planners will be recreating this beautiful backdrop for our Worship on Thursday evening of Council, but we need your banner NOW! 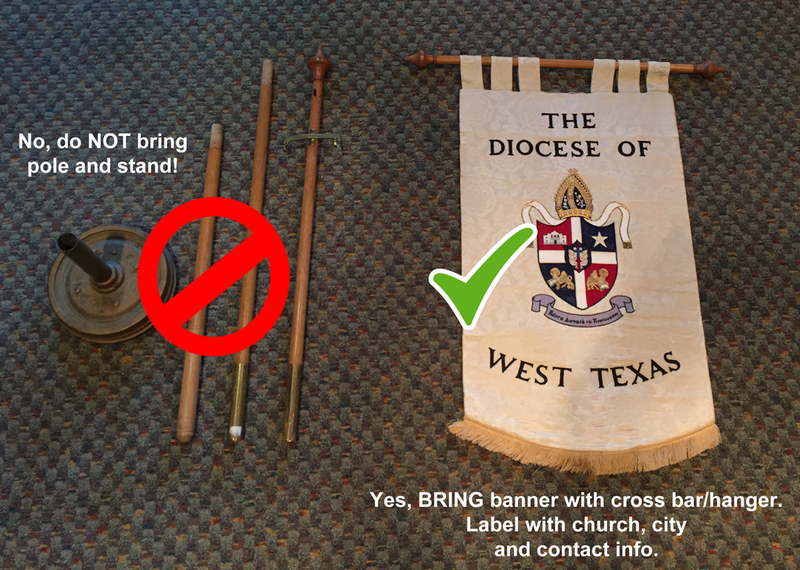 Please bring your congregation’s banner to one of the Discernment Forum/PreCouncil meetings the weekend of January 28 – 29, 2017. Diocesan staff will deliver them to Council. No stands will be needed, just the banners labeled with contact info. The banners will be available for pickup Friday afternoon and Saturday morning, February 24 and 25, 2017 in the exhibitor area. At Council 2016 Bishop Reed introduced six initiatives and the collaborative leadership to vision ways forward in these areas of need. One such initiative was Veterans’ Ministries where Bishop Reed said, “the needs are many and complex – not only for combat veterans, but for active duty personnel stationed among us and families left behind and waiting.” Our Council in Action 2017 project specifically addresses the children of active duty personnel left behind and waiting as our Military Ministry team partners with JBSA Randolph Hearts Apart. CIA will support Operation Flags (Families Learning About Global Support), a mock-deployment event for 300, third-fifth grade students at Randolph Elementary School in San Antonio. The annual event helps students to experience what it’s like for their active-duty parents to leave for a deployment. 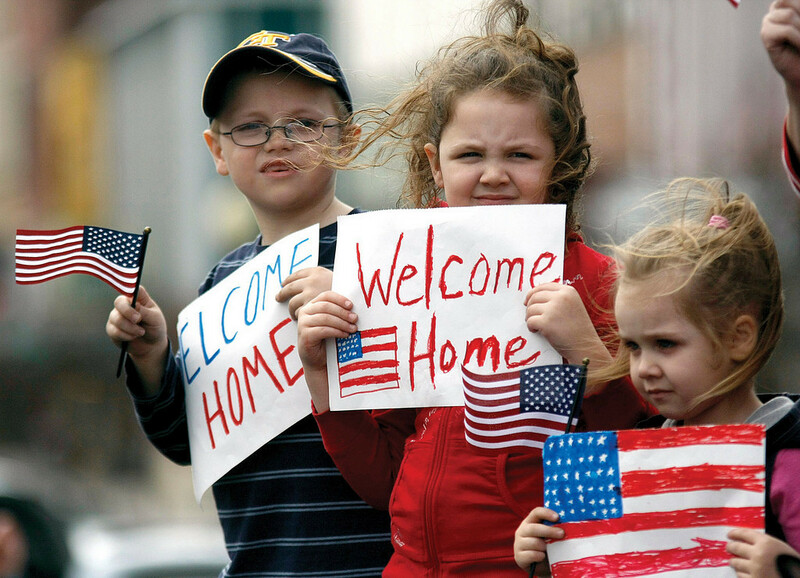 Our goal is to donate 400 posters & 400 flags to students and families participating in Operation FLAGS. Each flag cost 25 cents. Now available on the Council website is complete 2016 Parochial Report information including a blank parochial report form with instructions and a link to the Episcopal Church website for online completion. Additionally, all the Diocesan requested forms and information are available for download. A Parochial Report packet was mailed to each church on December 30, 2016, but the forms online, (in Word Document format) can be filled out on your computer, printed, and returned with the parochial report due Feb. 1, 2017. Happy downloading! Sales have been brisk since Exhibitors’ registration opened on November 28. With less than a month before online registration closes January 30, 2017, there are only four (4) standard booths available at $200/$140, and four (4) premium booths at $280. 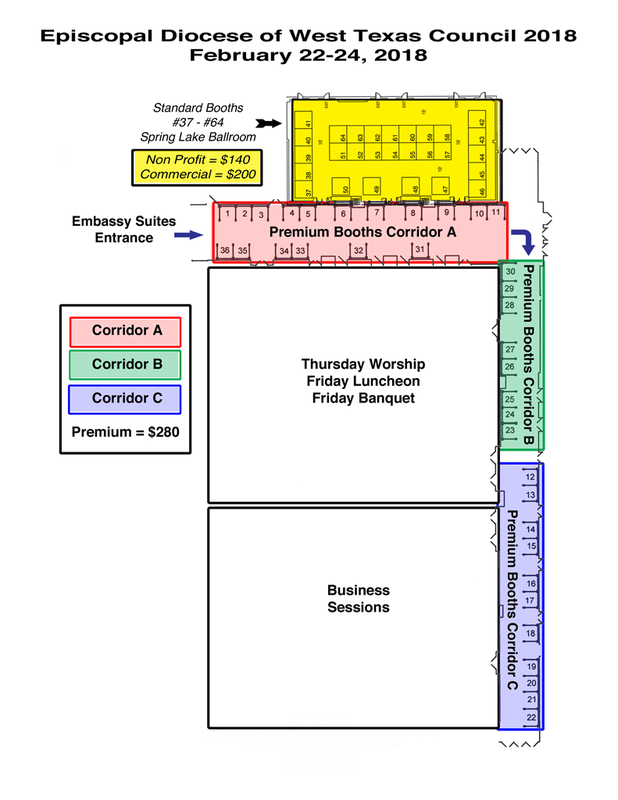 If you miss out on the lower priced booths, there are still eleven (11) of the Hospitality Premier booths at $350 each. All information can be found on the Exhibitor page. Don’t delay, reserve your spot today!